- 3R warranty all of its remanufactured printer cartridges for 2 years. - We will ship out a replacement cartridge with a return shipping label so you can return the damaged cartridge. - We try to give you our best in every interaction, because serving you well is our number one objective. 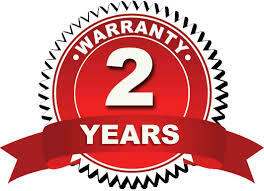 - Our two year warranty is simple. We live by the golden rule "do unto others as you would want done unto you". - We hope you are pleased with our warranty, but if you have any concerns please let us know.